Among other applications, Lumitex has designed splash lighting, laser tag vests, accent lighting, logo lighting, and light for basketball hoops, light masks, running shoes, snowboards, bicycles and helmets. Our surgical illuminators provide cool, shadowless light inside the surgical cavity. Our illuminators can be customized for disposable, single use, multi-functional devices. We also provide specialized OR suite lighting, MRI lighting and LCD lighting for portable medical equipment. 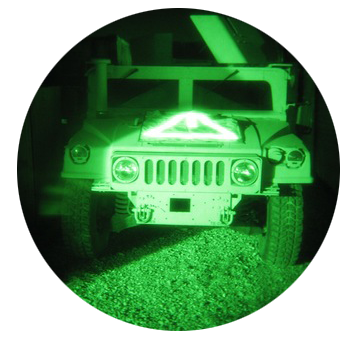 Our customers can use custom-designed lighting solutions that are on-shore and ITAR-compliant. Fiber optics are used in membrane switches, LCDs, dash lighting and anti-fratricide personnel IR beacons (TRON™). Our solutions are lightweight, rugged, power-efficient and long-lasting for battlefield conditions. 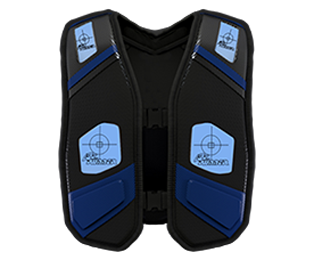 Proprietary, flexibe fiber optic technology and diverse design experience enable us to fit unusually demanding applications. We offer modest design and prototyping charges and quick manufacturing turnaround. Interested in a Speciality Lighting Solution? 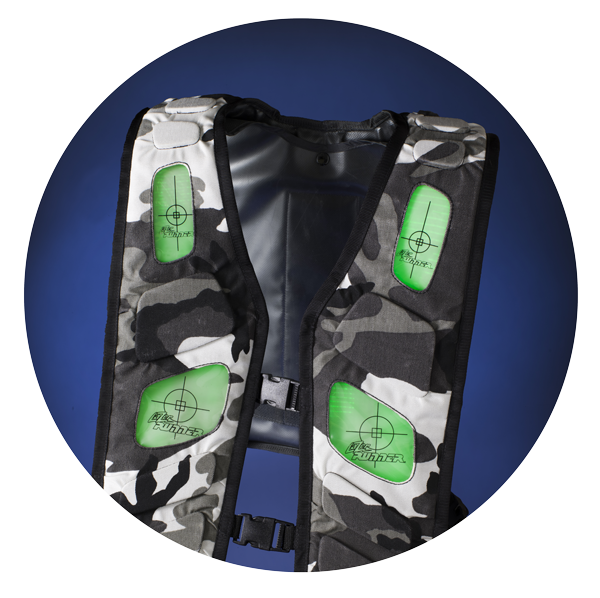 A manufacturer of laser tag vests contacted Lumitex to develop a thin, single panel backlight that could illuminate the front and backside of a vest. For this application, the Lumitex Woven fiberoptic panel was configured to use two (2) Tri-color LEDs that could be programmed to illuminate multiple colors. This was tohelp differenciate specific team colors. It was also determined that the PMMA acrylic fibers of the Woven Technology could beconfigured to detect the “Radio Frequency Beam” transmission in reverse which would register a vest hit. Our technology was ultimately selected by the customer due to the fiber mesh construction for increased durability, along with LED light/RF transmission efficiencies of the PMMA fiber strands.